Jake McDermott isn’t letting the challenges of his past keep him from realizing the promise of his future. The former foster youth who has overcome learning disabilities and ADHD is thriving at Grossmont College, where he is a member of the campus Phi Theta Kappa Honor Society, volunteers extensively, is on track to transfer to San Diego State University and is looking forward to a career as a graphic designer and photo editor. McDermott’s efforts have been rewarded with several Osher scholarships from the Foundation for Grossmont & Cuyamaca Colleges, and he also helps support himself through a work-study program that has him using his skills as a graphic artist at The Common Ground, the Grossmont College student engagement, cross-cultural space. It wasn’t the best first impression. 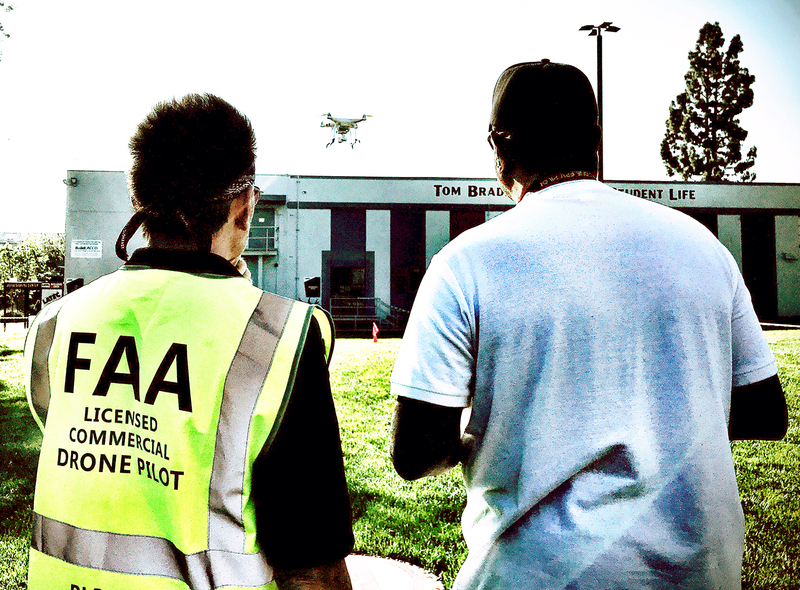 Grossmont College’s much-anticipated Drone Technology Program launches Oct. 30, with grant-funded classes offering free, comprehensive instruction designed to train novices to become FAA-certified commercial drone pilots with skills to pursue jobs or to become self-employed. President Nabil Abu-Ghazaleh said the college is excited to offer the new program at no cost to students, noting that private drone schools typically charge thousands of dollars for the training. Despite the cost, the training is growing in demand with many drone pilots working as freelance contractors, flying drones for small businesses and major companies, alike. Grossmont College’s classes train pilots for two commercial tracks – Unmanned Aerial Systems (UAS) cinematography and UAS surveying and mapping. “Clearly, the interest and demand are there and with the funding to support developing education and training in this burgeoning career field, we were very keen to start this program,” Abu-Ghazaleh said, adding that as the new curriculum is expanded, classes will be offered next spring in the programming and technology that make autonomous aircraft function. 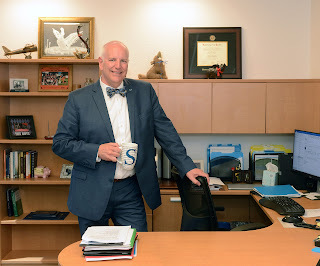 Crediting community college for setting him on a quest for learning, Sean Hancock went on to attain two advanced degrees and top posts as a college administrator, and is now the Grossmont-Cuyamaca Community College District’s first Vice Chancellor of Student and Institutional Success. 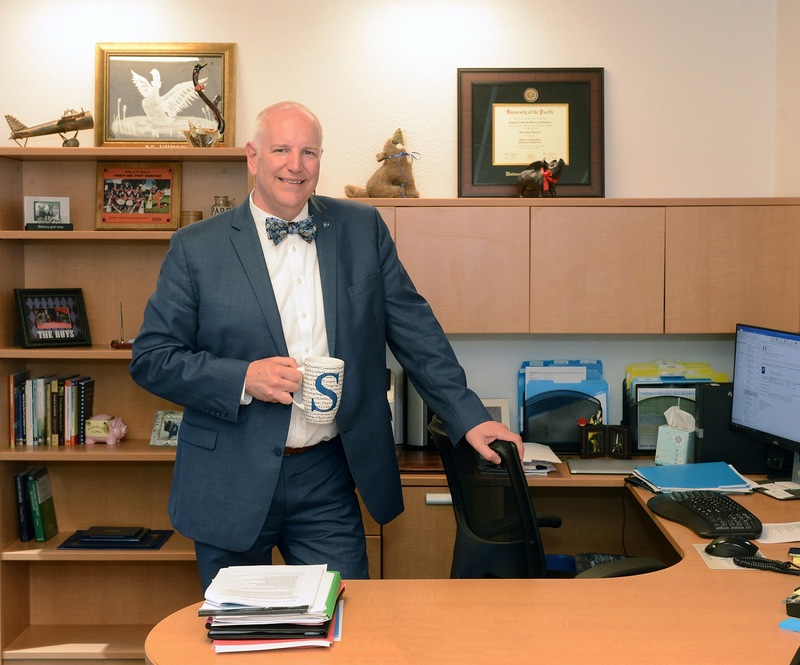 Hancock is responsible for coordinating districtwide educational services to promote student success and overseeing the District Services departments of Research, Planning and Institutional Effectiveness; Information Technology Services; and Community and Workforce Development. 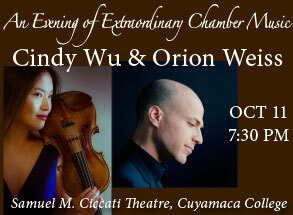 An assemblage of internationally-acclaimed musicians who have performed at symphony halls around the globe are lined up for the second season of the Cuyamaca College ECHO Chamber Music Series, which kicks off Oct. 11 with a 7:30 p.m. concert featuring a selection of Mozart violin sonatas. Performances are being underwritten by Sam Ersan, a vice chairman of the San Diego Symphony Board of Directors who has helped transform the chamber music landscape in San Diego County through his support of numerous classical musical organizations. Ersan is a major funder of the Mainly Mozart Festival, the force behind the Sam B. Ersan Chamber Music Fund at UC San Diego and the founder of the Camera Lucida piano quartet and the Myriad Trio. ECHO is an acronym for the East County Harmonics Organization. The Grossmont College Music Department will host its first-ever Swing Under the Stars concert and student scholarship fundraiser on Thursday, Oct. 11, in the Main Quad of the East County community college. 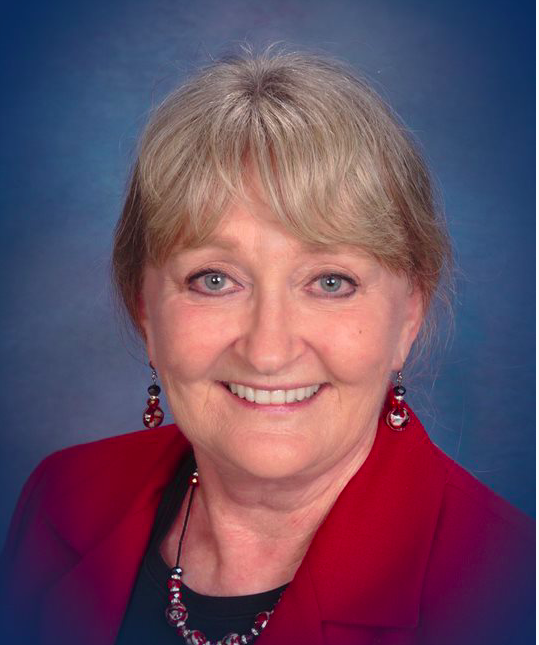 Swing Under the Stars will feature free swing dance lessons from 6:30 – 7:30 p.m., courtesy of Grossmont College Dance Adjunct Associate Professor Nancy Boskin-Mullen and Dance Department students. The JazzKatz Orchestra, a 14-piece big band ensemble lead by Grossmont College music alumnus Chaz Cabrera and lead vocalist Whitney Shay, will start at 7:30 p.m.